Woodburn Police Department's Lt. Jason Millican recently completed a 10-week training with the FBI National Academy in Quantico, Va., fortifying his law-enforcement skills and the local police department in the process. "Attending the FBI National Academy was an opportunity of a lifetime for me...an amazing experience that I will not forget," Millican said. Millican followed the footsteps of Police Chief Jim Ferraris, who underwent the same FBI training program in 2000, as did former Chief Scott Russell in 2002. "Lt. Millican has just completed an arduous 10-week course of executive level study and a rigorous physical fitness program that has prepared him to help us take the Woodburn Police Department into the future. We are very proud of Jason for this accomplishment," Ferraris said. "The FBI National Academy is really the 'finishing school' for command level police leaders. I look forward to Lt. Millican's continued contributions to our department and community." The academy not only strengthens current law enforcement skills, but it provides a means for police personnel to share their experiences. "Living with law enforcement (cohorts) for 10 weeks while going through the training helps develop colleagues and a network with them," Ferraris said. "The academy mates I graduated with in 2000 reach out to each other for assistance and ideas and information exchange. The networking is phenomenal." That is part of the mission, and it is a global one. "The exceptional law enforcement leaders selected to attend the National Academy each year have the unique opportunity to share their experiences with peers and learn best practices from officers from across the globe," said Renn Cannon, special agent in charge of the FBI in Oregon. "Only a few officers from Oregon have the chance to attend each year, and we are proud to sponsor Lt. Millican and our other local partners in the National Academy." Millican joined fellow Oregonian law enforcement officials from Washington County Sheriff's Office and Multnomah County Sheriff's Office in taking the training this session, which marked the 274th session offered. The FBI holds four sessions each year, each with roughly 220 participants. The academy began in 1935 as a police training school, and the training selection is described as a highly competitive process that includes nomination by a supervisor, interviews with the candidate and co-workers, a background check, and a physical fitness standard. The session involves considerable classroom work in intelligence theory, cyber threats, emotional intelligence and executive level law-enforcement essentials, along with physical training courses and activities. FBI public information officials noted that each session usually includes between 27 and 30 international students, which is about 10 percent of the overall class. Upon completion, officers are eligible to join the FBI National Academy Associates, Inc., which includes a network of more than 16,000 law enforcement employees. "I had the opportunity to meet so many great people in the law enforcement profession from around the world," Millican affirmed. "This gave me the opportunity to network with a large number of law enforcement professionals. The relationships that I have made will last a lifetime." The FBI does not charge U.S. students for tuition, books, equipment, meals, lodging or travel to and from their home. "I call it the finishing school, because we train all the time and do a lot of training throughout our career," Ferraris said. "But at the commander level this is one of the few trainings (providing depth) to help your thinking throughout your career. The mix of academics and physical fitness puts a student in a very good place. "And the FBI provides all of this free of charge; the cost benefit of it is unbeatable." Millican joined Woodburn PD in 1988 as an officer. In 2006 he was promoted to sergeant, and he has also served as a patrol officer, patrol supervisor, K-9 handler, tactical team member, detective supervisor, lead firearms instructor and range master. He was promoted to lieutenant in 2016. 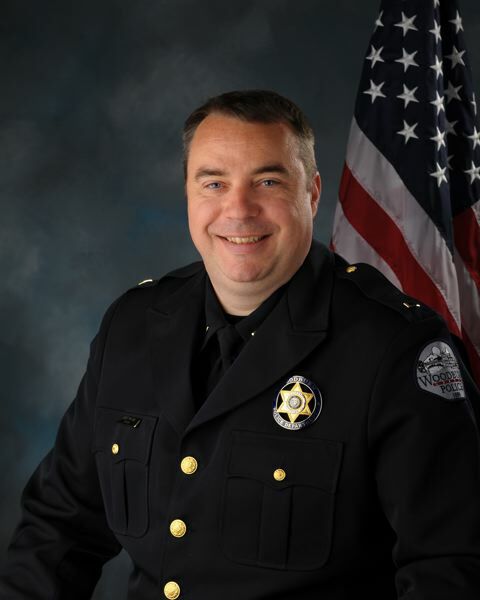 Millican also currently serves as Woodburn's Operation Division commander, overseeing patrol and traffic operations, the Mobile Crisis Response Team and the K-9 Unit.